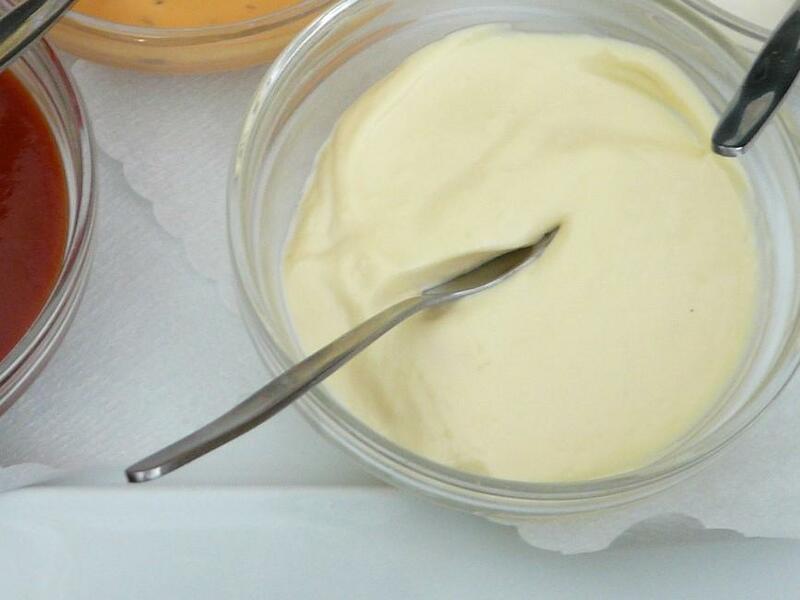 There are a lot of recipes for vegan mayonnaise and the ingredients vary drastically from recipe to recipe. Some use tofu, some use the slimy liquid you drain off a can of chick peas (known as aqua faba). This recipe is simpler and you are more likely to already have these ingredients at home. Blend with a stick mixer or beater until smooth. Use immediately or chill until needed. Storage: can be stored in the fridge for up to 3 days.